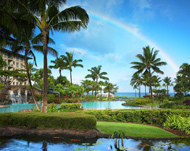 Kaanapali Maui: A Playground Fit for Royals! ...where to stay, things to do, and how to get here! 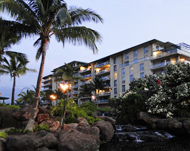 If you like the idea of staying in a royal playground, Kaanapali, Maui, is the perfect place to be! This slice of paradise used to be the place where Maui nobility came to surf, swim, feast at luaus, indulge in games and relax. Now WE get to play at Kaanapali, Maui too, on over 1200 acres here at Hawaii's very first master-planned resort. You'll love the paved beachfront walkway running the entire length of the beach (be sure to go there at sunset - you'll be wowed! ), endless restaurants to choose from (all within an easy stroll! ), and beach activities galore! I've got to warn you. 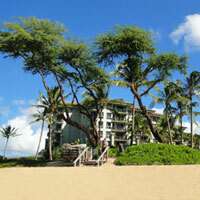 You're going to have a LOT of choice in where to stay along the 3-mile-long stretch of Kaanapali Beach. And that's a good thing too since all that choice means you'll be able to find something that's absolutely perfect for you in terms of budget, amenities, and style. These are perfect choices if you want the convenience and spaciousness of a condo with its full kitchen, but still want the luxury and amenities of a top-quality property. 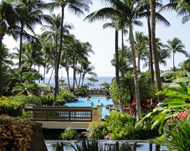 Our personal experience with Kaanapali hotels included a stay at the Royal Lahaina Resort, which we loved. 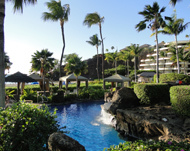 (Click here to read my Royal Lahaina Resort Review!) 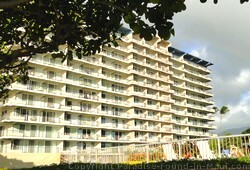 At the time we stayed at this Maui Hawaii resort (in the Lahaina Kai Tower), it was rated 3 stars - however, renovations were being done during our stay, so it is even better now! 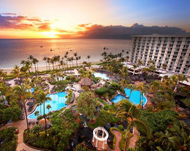 My point in bringing this up is that if we LOVED our 3-star Kaanapali Hotel, then if you have the budget for a luxury hotel in Kaanapali Maui such as the Westin Maui Resort and Spa, you must be almost guaranteed to love YOUR stay! 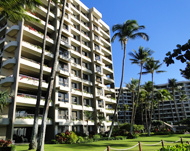 These properties are some of the most budget-friendly Kaanapali hotels and condo rentals you can find. They don't have all the bells and whistles of the luxury resorts, but they're just what you're looking for if you want to spend less on your accommodations. 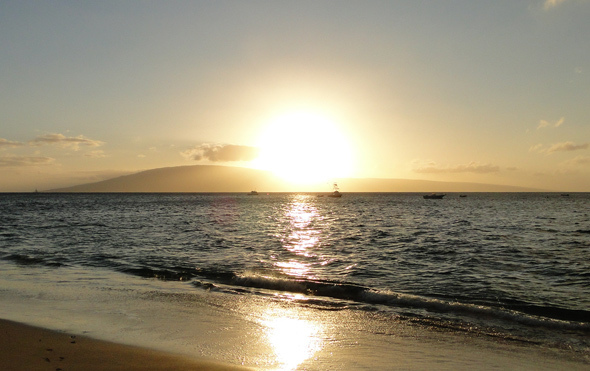 There are lots of things to do in Maui's Kaanapali Beach area: you can choose from tennis, golf, shopping, luaus, and relaxation at the spa, just to name a few! 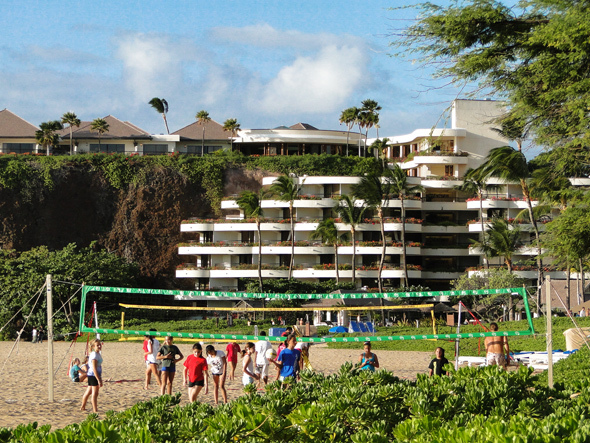 Most of the 35 tennis courts in Kaanapali Maui are found at the various hotel resorts, but a few of the condominium resorts have them as well. If you choose to golf, there are 2 18-hole championship courses: The Royal Kaanapali and the Kaanapali Kai. If you like to shop, Whaler's Village hosts a nice collection of boutiques and galleries. 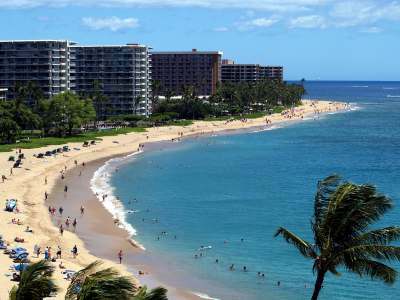 Since it's located within the Kaanapali Maui resort, it's easy to get to via the free resort shuttle service. For history buffs, there is the free Whalers Village Museum where you can learn all about Lahaina's whaling days. 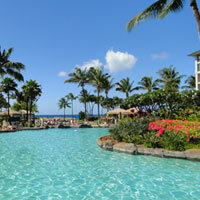 Looking for a Maui Luau within the Kaanapali resort? 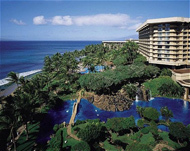 They include the Drums of the Pacific Luau (at the Hyatt), the Marriot Luau, the Sheraton Maui Hotel's Sunset Luau and the Royal Lahaina Luau. If you have the budget for it, or are just ready to splurge, then you can check out the spa at either the Westin Maui or the Hyatt Regency Maui. Of course, there are also the obvious beach activities like sunbathing and snorkeling. In front of the Sheraton, you'll see the famous Black Rock, Maui: this is a great spot to snorkel! 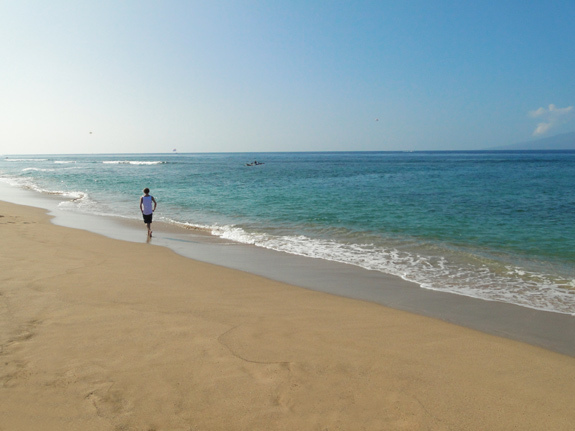 We were novices at snorkeling, and found Black Rock to be great: there were lots of fish to see, and it was within walking distance from The Royal Lahaina Resort where we stayed. It's no wonder that Black Rock is one of the top snorkeling destinations on Maui! Every major resort along Kaanapali Beach has it's own restaurant, and sometimes more than one! 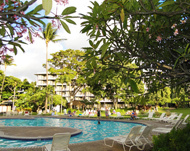 Whaler's Village also has lots of dining options ranging from the super casual food court, to world-class beachfront dining at restaurants such as Leilani's on the Beach and the Hula Grill, Maui. 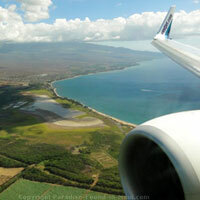 Kaanapali is located just 10 minutes from Lahaina, and is within a 1 hour drive from Kahului Airport. If you have a rental car as we did, getting around is super easy! But even if you do NOT have your own rental car, there are still a few great options for getting around the resort area fairly easily and economically. There is a free trolley for resort guests that will take you to various locales within the resort itself. Also, there is a shuttle that can take you from your hotel to either Lahaina or Kapalua (for a fee). We used this shuttle for our trip to and from the Old Lahaina Luau (in Lahaina) - it was easy to use, and fairly inexpensive. You can click on the map icons for more information on a point of interest! 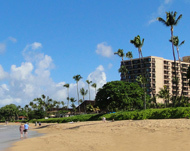 Use the map to find things to do, hotels and more within the Kaanapali Beach Resort!